Address: Mucklin, Dolla, Silvermines, Nenagh, Co. Tipperary. 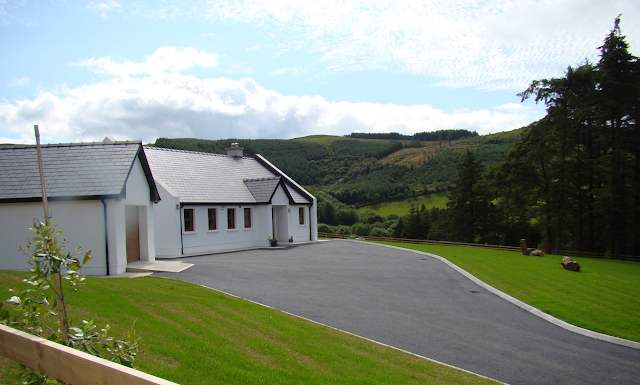 Silver Spruce Lodge is a 4**** Fáilte Ireland approved newly constructed modern holiday home nestled in the picturesque rural area of Silvermines -10 minutes from Nenagh. It is a luxury home away from home. Silver Spruce Lodge is tastefully furnished, sleeps six people (1 Master Bedroom with ensuite, 1 double and 1 Twin Room) main bathroom and separate toilet. Cot available on request. The modern kitchen/dining room is fully equipped with dishwasher, electric oven and hob, microwave etc. The utility room has a washing machine and dryer. The relaxing tranquil living room has a TV and DVD player. Every room has a spectacular view.